A lost world within easy reach of Brisbane and the Gold Coast. 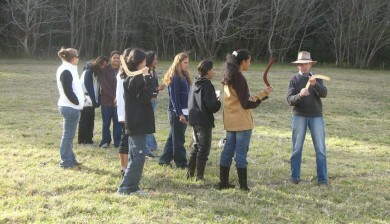 A traditional and authentic Farmstay experience. A 4th generation working farm with 1050 acres of land. 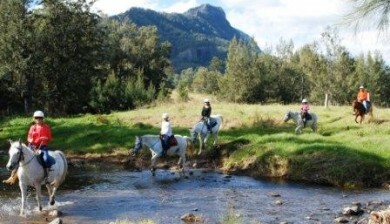 Enjoy a trail ride through the beautiful Lost World Valley. 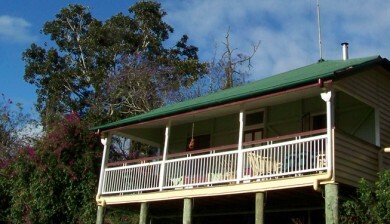 Spectacular views right next to the Lamington National Park. 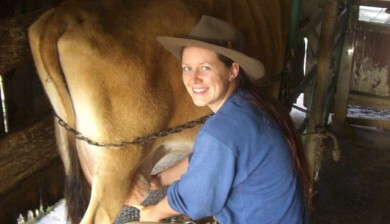 Enjoy a genuine farmstay experience on a real working farm. 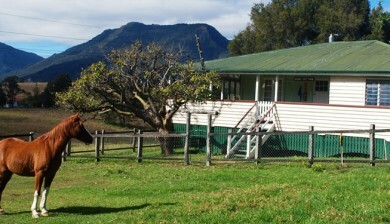 Stay in your own private historic cottage accommodation, surrounded beautiful mountain scenery. 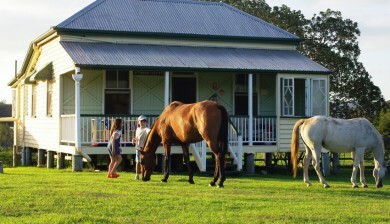 1901 Original homestead and former family home now reserved exclusively for guest accommodation. 4 double and 4 single beds, 2 bathrooms/toilets. Fully catered or self contained. Fully restored 1900 workers cottage. 2 bedrooms, cosy wood fireplace, air conditioning, fridge and kitchen. 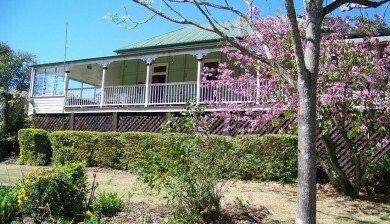 Fully restored 1900 Queenslander. 2 bedrooms, cosy wood fireplace, air conditioning, fridge and kitchen. 1940's large farm cottage. 2 double bedrooms, 2 bunk rooms (total 7 single beds). Sleeps up to 11. Experience all our activities right here on the farm. We are a 4th generation working farm with 1050 acres of land, so you get a hands on farmstay experience of daily animal feeding, milking the cows and collecting eggs. Join us for a scenic trail ride through the foothills of the Lost World Valley, exploring the beauty of Cedar Glen. Or treat your little ones to a led pony ride. 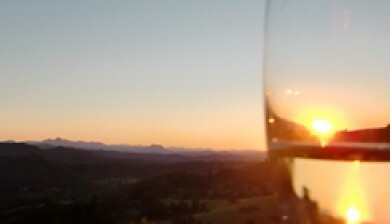 Take a 4 wheel drive twilight tour to the top of Jack's Rocks, and enjoy the spectacular views and a glass of champagne while the sun sets.